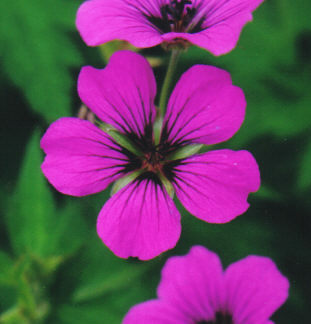 In the geranium family (Geraniaceae), the flower parts are usually produced in groups of five. 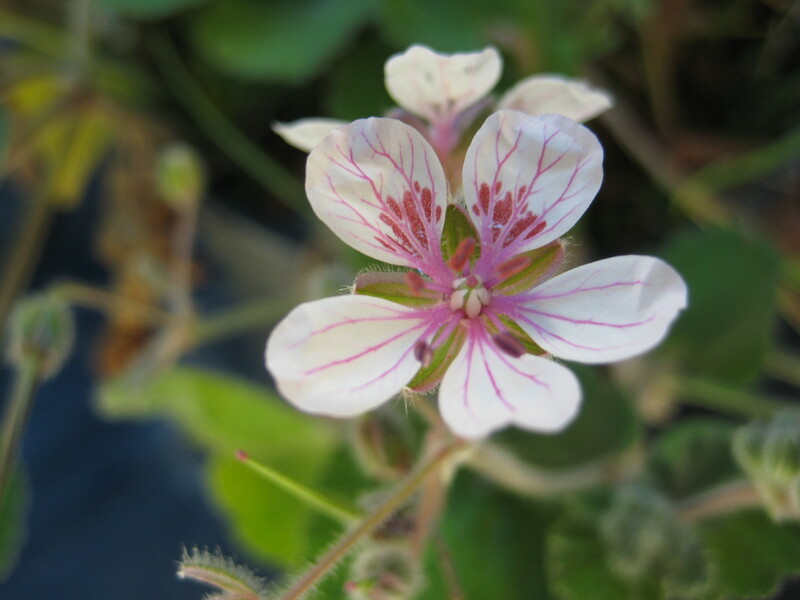 There are five sepals, five petals, five or 10 stamens, five compartments in the ovary and five stigma branches. When the ovary matures, it splits into five sections or mericarps, each containing one seed. The mericarp is plumed and this aids in seed dispersal. 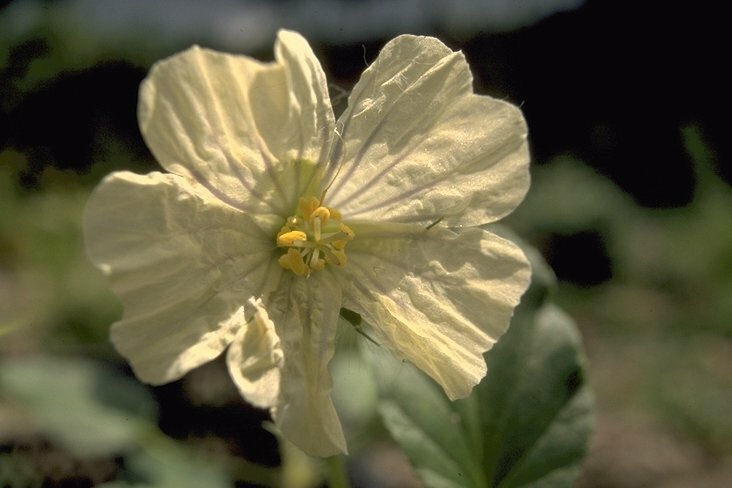 The number of flower parts may vary in individual species; and when plant breeders and gardeners are involved, aberrant types with extra petals are selected as desirable. Therefore in zonals and ivies, plants bearing double and semi-double flowers, i.e. 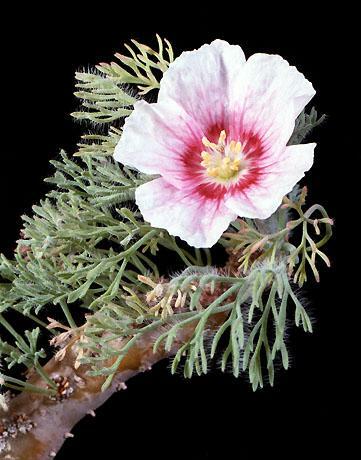 with more than five petals, are common. 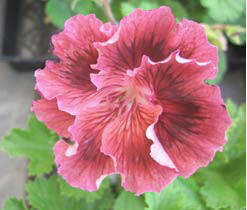 In the regal and angel geraniums only one or two extra petals may be found but truly double flowers are uncommon. However, there is one novelty cultivar (probably a form of P. cucullatum) called ï¿½Spanish Lavenderï¿½ in which I have counted over 40 petals in one flower!